I have neglected my blog! I haven’t been meaning to neglect my blog…I really haven’t! I finally caught that silly cold going around at work and…well…just got too tired to do much of anything recently. (I’m better now!) I guess I kind of forgot about it, too! 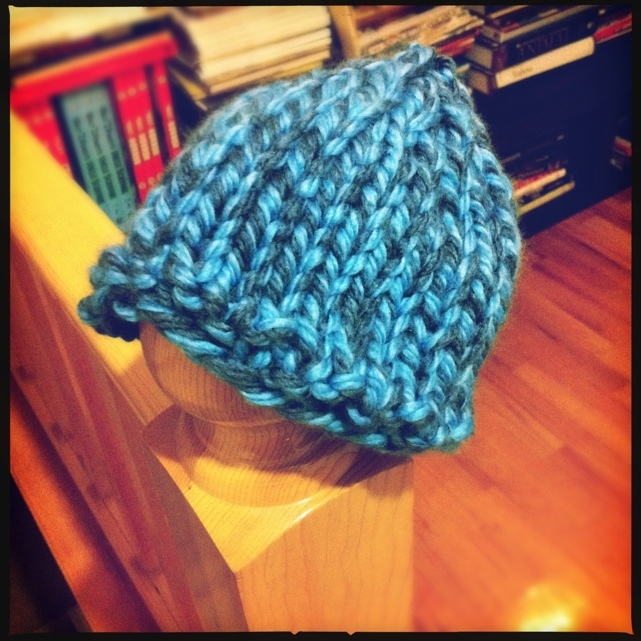 I made this one in one night using super-bulky yarn and size 15 needles. So fun to make!! It should fit a 0-3 month old. I want one, too (a warm hat…not a 0-3 month old). 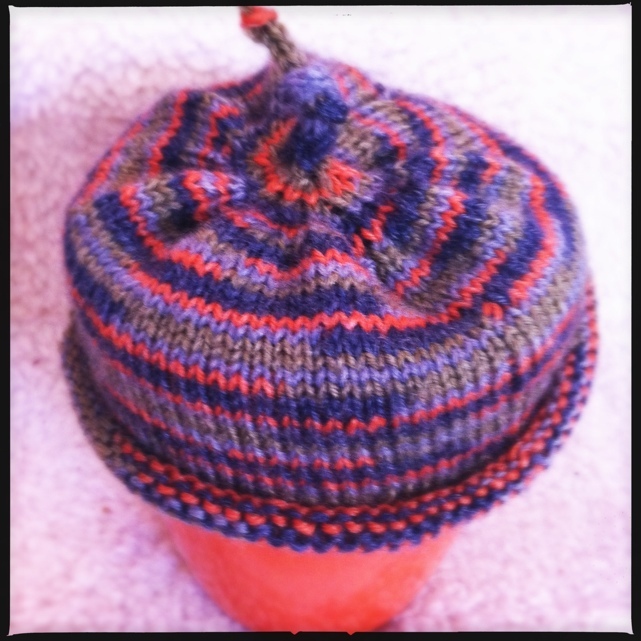 The hat below was done using sock-weight yarn and size 2.75mm needles!! Not sure why I attempted my first hat using such small needles! As one of my knitting friends said…it’s a little like trying to knit with toothpicks! It sure was fun though. If you’re a knitter…both of the patterns came from Ravelry.com. I used videos from newstitchaday.com to help me figure out how to knit in the round. Hmmm…now to figure out what to knit next! !